Valentine Week: (Not So) Graphic Double Winged Eyes - "Graphic eyeliner never fails to add drama to any make up look. The winged eyeliner has been a go to look for everyone. What happens when you double the eyeliner? Following just a few easy steps (plus a steady hand), you can be a show stopper once you rock this makeup look. The result is unexpected and stunning." 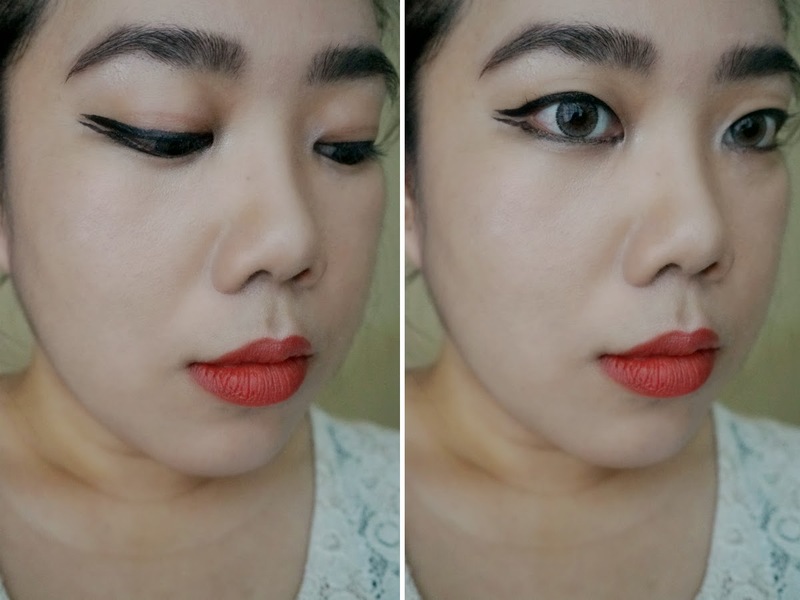 For the last installment of my Valentine Week Special, I have the "Graphic Double Winged Eyes," featuring winged black eyeliner not just on the upper lash line but also on the lower one as well. I have customized this to look subtle and not too editorial so that you can rock this one for a date night with your special someone, or even casually. BASE: As with any other makeup, it's always best to start prepping your skin. This makes your makeup stay longer and keep your skin healthy. Make sure you cleanse your face and apply primer before anything else. Create a flawless base by applying foundation all over your face. 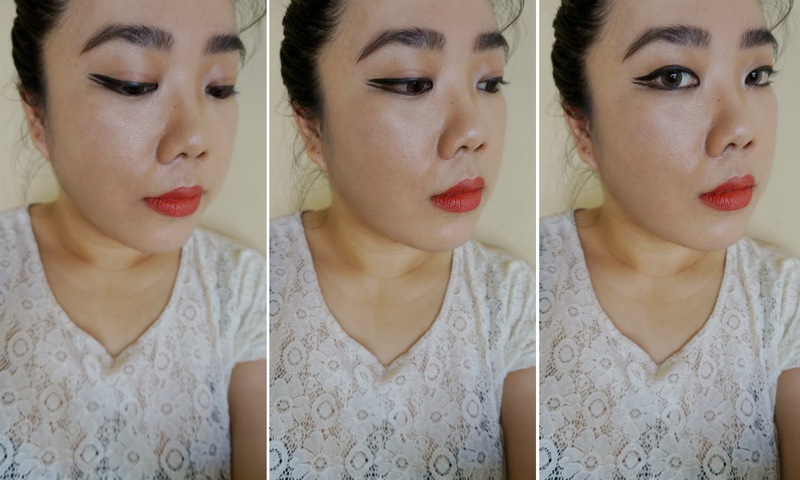 For this look, I used Clinique Even Better Makeup. 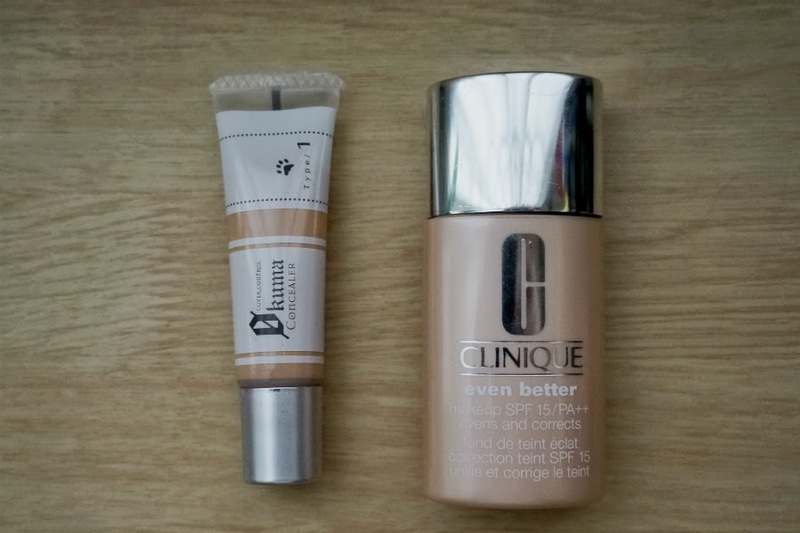 This foundation is lightweight and provides medium coverage. 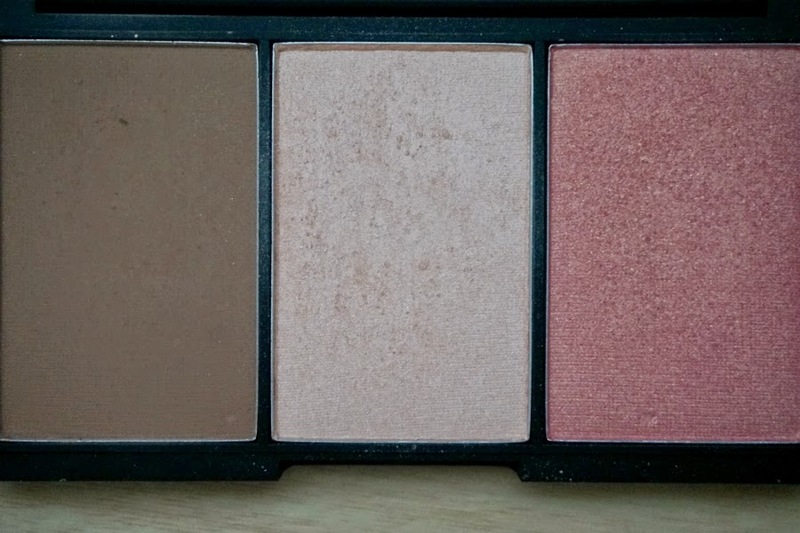 For areas that need extra attention, I used K-Palette Zero Kuma Concealer. EYES: I focused on the eyeliner for this look. I opted not use any eyeshadow for contouring. It would depend on you if you'd like to apply a subtle light brown or taupe all over your lids to add some depth. Step 1: Using a black liquid eyeliner (K Palette 1 Day Tattoo Real Lasting Eyeliner), apply it as close as you can to your upper lash line. Start in the inner corner of your eyes and work your way outward. As you move outward, the line should get a little bit thicker. 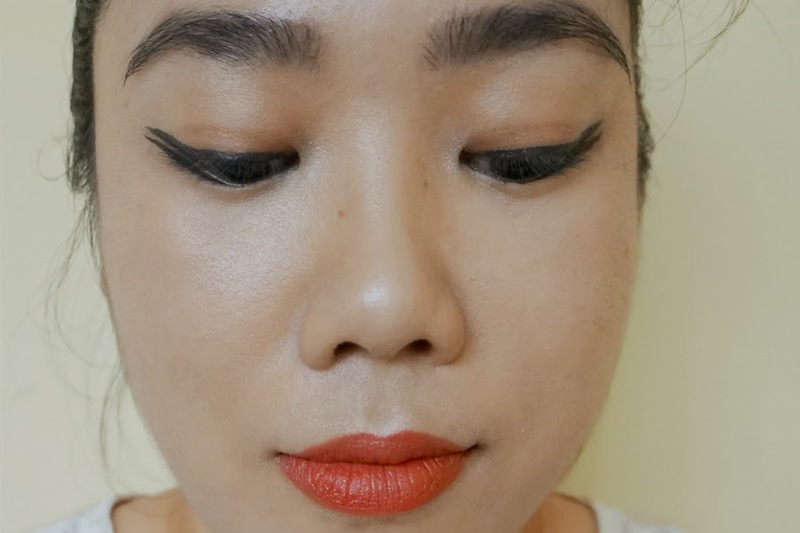 Extend the eyeliner all the way out about 1/4 to 1/2 inch (depending on how dramatic you want it to look) and then create a wing by slightly moving the line upwards. Step 2: Do the same on your lower lash line. The winged part should be parallel to each other. To make your eyes pop more, curl your lashes and then apply mascara on your upper and lower lashes .Fill in your brows using an eyebrow pencil. Do this in light and short strokes for a more natural look so that it doesn't overwhelm you eyes. CHEEKS: The cheeks for this look are very natural. 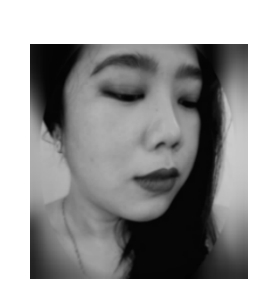 I used the highlighter (from (Sleek Face Form in Light) to subtly add dimension on the upper parts of my face (top of cheekbones, also on the bridge of nose, cupids bow). 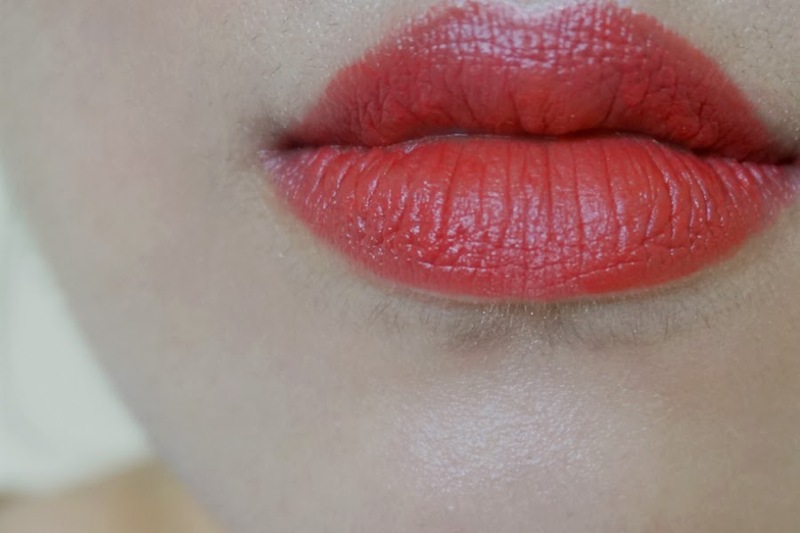 LIPS: A red lip and cat-eye combo ups the ante for any makeup look. 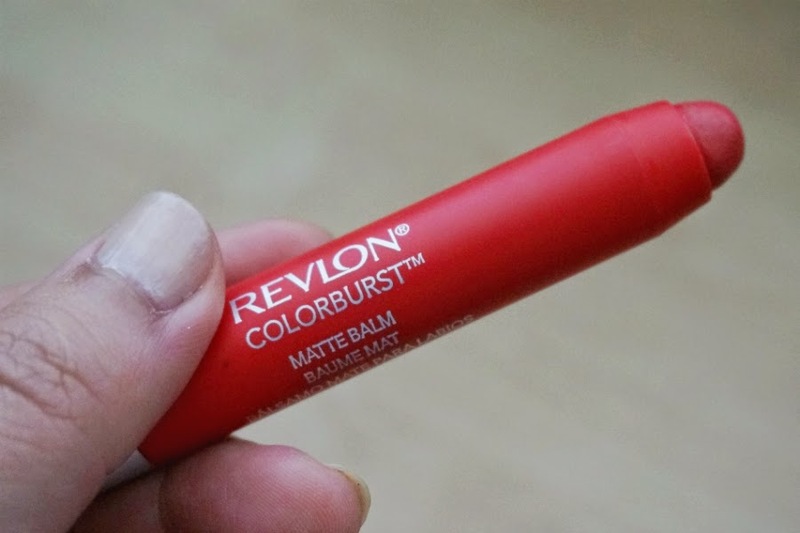 Revlon's Color Burst Matte Balm in Striking has the perfect balance of orange-red shade that will add a nice contrast against the strong eyeliner look. If you want a less striking look, you can also opt for more natural-looking shades. The black eyeliner complements every lip color. Styling Notes: The key to this look is creating a smooth canvas so that you eyeliner can shine on its own. Keep everything else (including your attire) minimal. 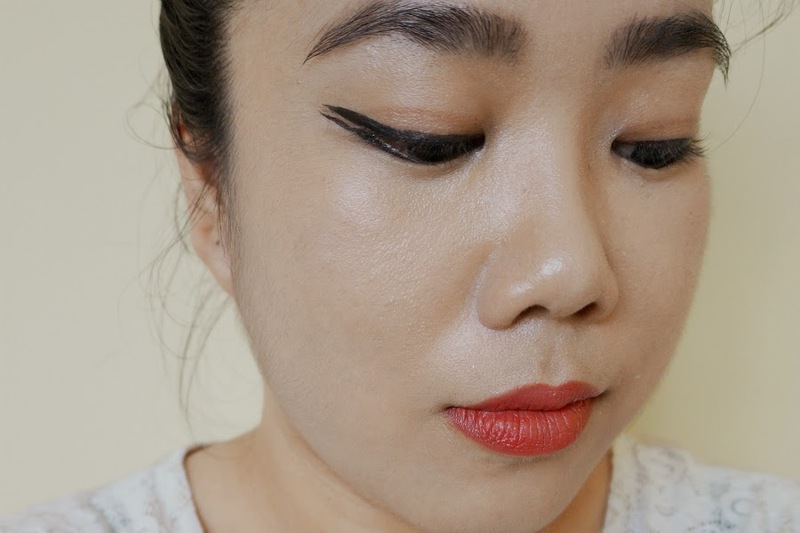 Creating winged eyeliner may be a challenge at first, but it’s worth all the effort. 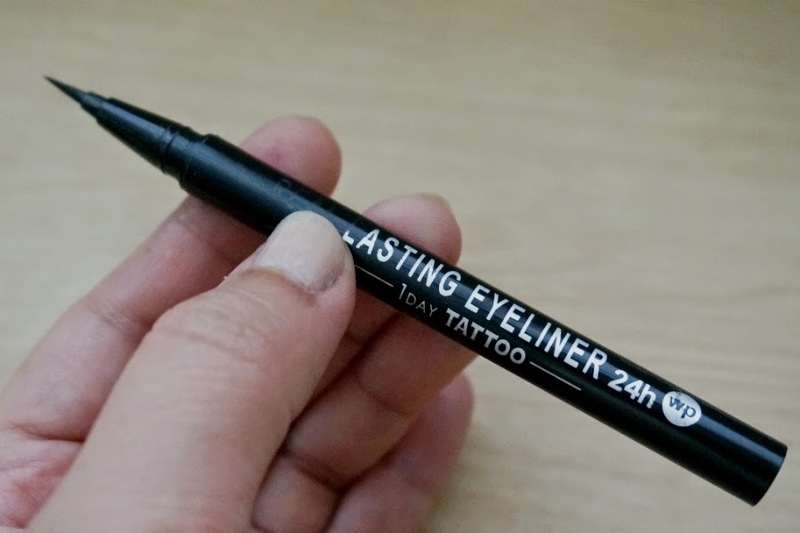 The trick is to choose a liner that you’re comfortable working with. 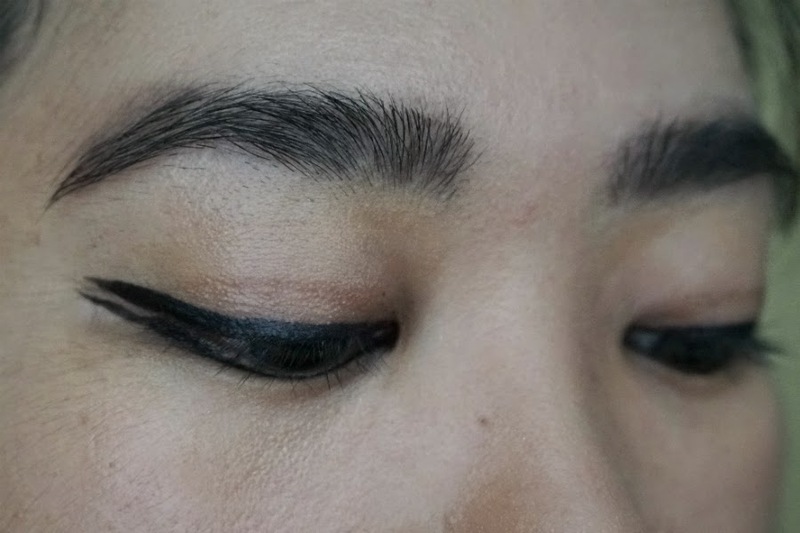 With a little practice and patience, you’ll be able to master winged eyeliner and then double it for twice the impact.